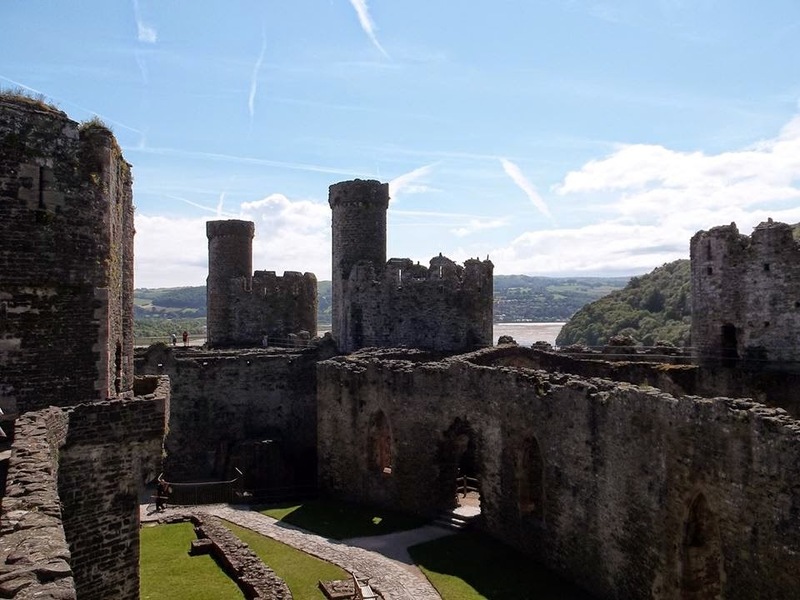 I've been thinking a lot recently about Edward I, particularly having been on a recent tour of the four great castles he built in Wales during the later fifth of the thirteenth century. As a Welsh person myself, it always seems slightly incongruous that I would like a king that so subjugated my native land, but like him I do, nevertheless! So today's blog will be an effort to see just why, among the shadows of the Conquest of Wales. The man has had some bad press, perhaps understandably, from the vicious ways in which he dealt with uprisings in both Wales and Scotland. Of course, this bad press stems from historians native to those areas, who will perhaps inevitably be a bit biased. English historians are usually a bit better at presenting a balanced view of the man, praising his reform of the legal system and establishment of parliament as a permanent fixture. If you haven't already done so, I can massively recommend reading Marc Morris' excellent book A Great and Terrible King. I am, admittedly, not the biggest fan of Morris' work, but his survey of Edward here is just second to none! 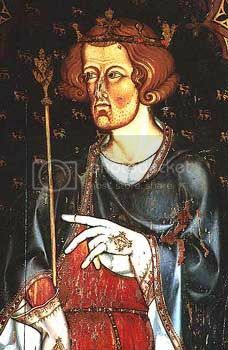 Edward was the eldest son of Henry III, whose reign is often described as 'disastrous' because of the perception that he was a weak ruler. I personally find Henry to be a very likeable chap. I sometimes feel that he was born too early - had he been king of England four or five hundred years later, he would perhaps have been one of the most popular monarchs the country had ever seen. That such a pious and generous man was given England to rule when it needed a much stronger king is his supreme accident, therefore. After some early failed military exploits, Henry revealed himself to be something of a skilled diplomat, but the middle ages wanted more teeth in their rulers, and Henry's son Edward soon came to overshadow his conciliatory father. 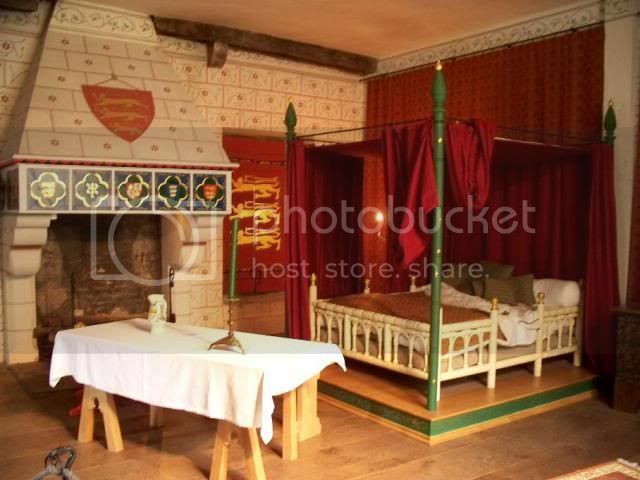 Henry's 'fatal generosity' was eventually to spark off the Second Barons War, also known as the de Montfort Rebellion, which raged throughout the 1260s and, at one point, effectively deposed Henry as king. Prince Edward led the king's army at the Battle of Evesham and defeated de Montfort, and one gets the impression that Edward was somewhat unhappy with his father's rule. Edward was a very tall man for the age, standing at 6ft 2in (when the average male of the time was around 5ft 6in). He also had a famously bad temper, and these two facts made him appear particularly frightening to his contemporaries. Despite this, however, he was also a devoted husband to his queen, Eleanor of Castile, and is one of the very few medieval monarchs known to have never had extramarital affairs. 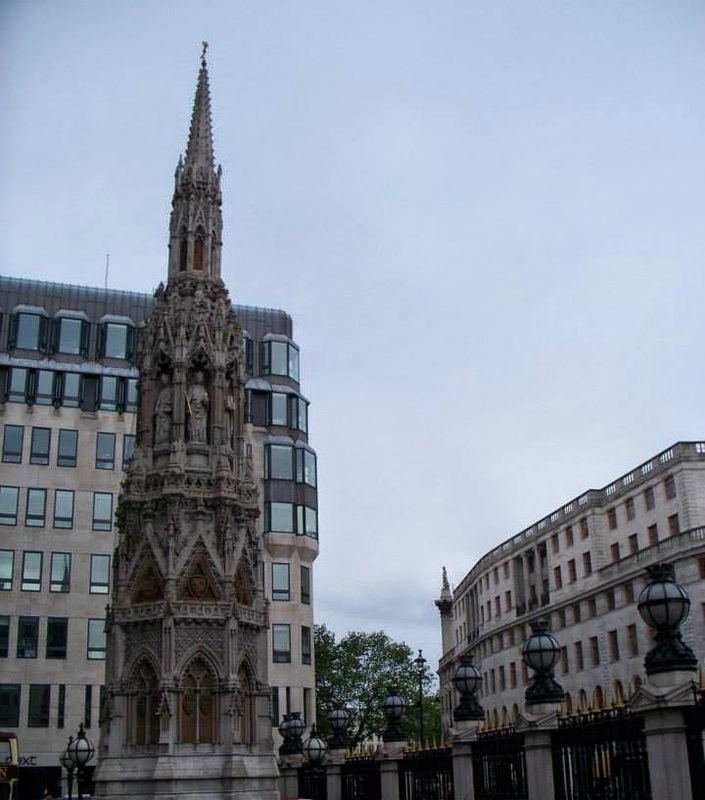 When Eleanor died at Lincoln in 1290, Edward was distraught and erected crosses to mark each resting place of her funeral cortege between Lincoln and London, the most notable being Charing Cross. For all his fearsome reputation, Edward adored his wife. But a strong and powerful king was precisely what was needed at this time, and Edward almost immediately set about consolidating his position lest another 'disastrous' reign occur. 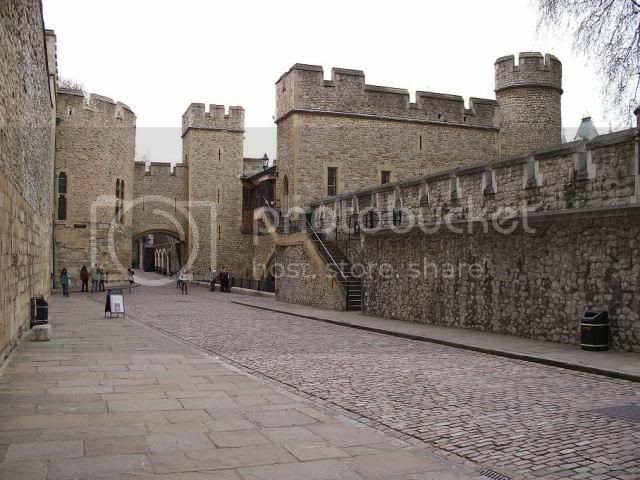 First priority was the Tower of London. Back when William I built it, it was meant to be a symbol of royal authority, a stamp on the English capital that should dissuade any from rebelling against the might of the king. But rebellions against the king had happened, to both Edward's father and grandfather, so Edward set about making the Tower even more frightening, with a much bigger footprint and bang up-to-date concentric defenses. The perceived slight by Llywelyn ap Gruffudd in not attending Edward's coronation is one of those moments in history that leaves me shaking my head in despair. It also has a massive history of its own. 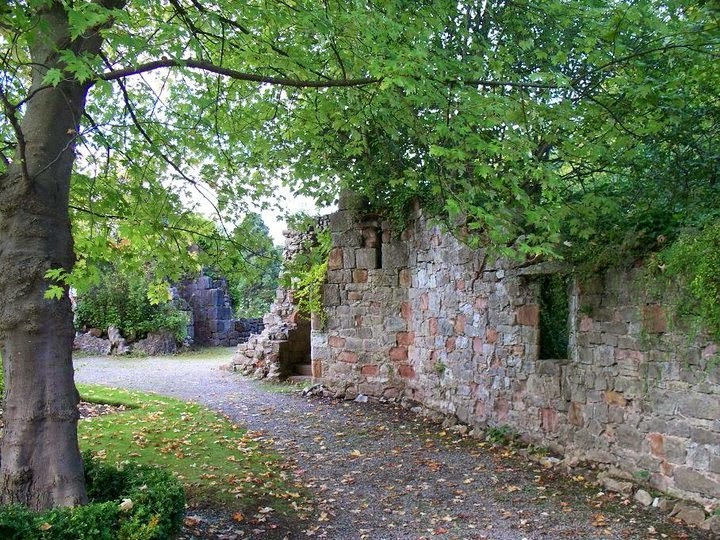 As you may or may not know, the princes of Gwynedd had often been belligerent in conquering lands outside of their Snowdonia heartland, with Llywelyn 'the Great' occupying lands well into Shropshire as well as far south as Pembroke. However, they had always remained princes of Gwynedd. 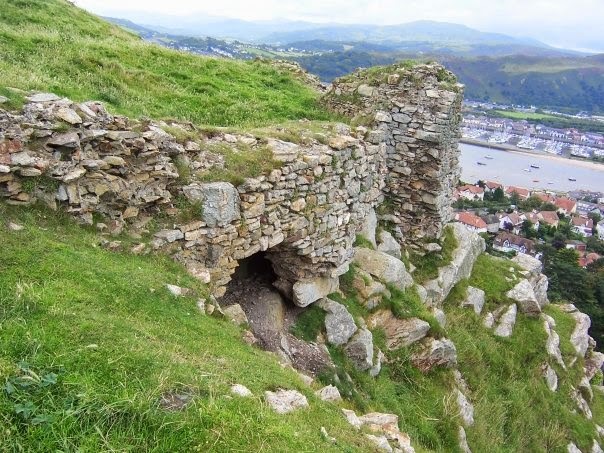 Llywelyn's grandson, Llywelyn ap Gruffudd, achieved a major coup when he used Henry III's preoccupation with the de Montfort rebellion to make significant conquest of the king's lands in the Welsh March, destroying the royal castles at Dyserth and Deganwy in the mid-1260s. 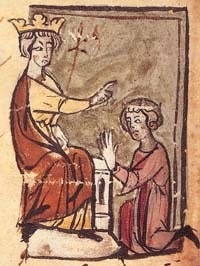 While Prince Edward was enraged, the king was by now well into his diplomat years, and made peace with the Welsh at the Treaty of Montgomery in 1267, where Henry demanded Llywelyn return lands he had taken in the Welsh March, but in return he would recognise the Welshman as Prince of Wales, ceding all homage required of the nobility in Wales to Llywelyn in return for homage from the newly-recognised Prince himself. Llywelyn agreed, naturally, and became the first and only officially-recognised Welsh Prince of Wales. Edward cooled in his animosity to Llywelyn, perhaps in grudging respect for his father's diplomacy? 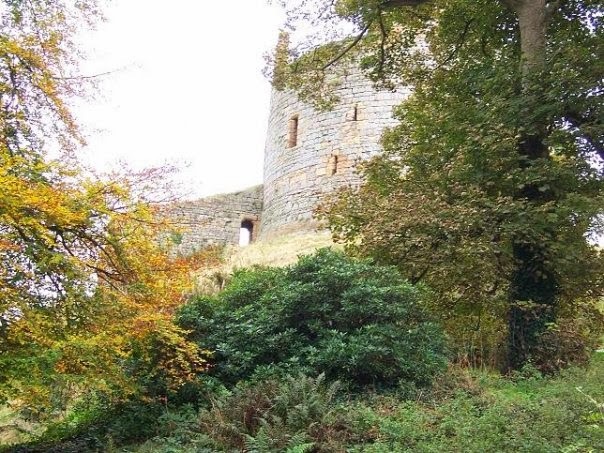 Not everyone was happy, however - the powerful earl of Hertford and Gloucester, Gilbert de Clare, had received the Lordship of Glamorgan in 1262, and Llywelyn's new status made him a vassal of the Prince, who almost immediately set about invading de Clare's lands. de Clare was one of Edward's staunchest supporters following his change of allegiance from Simon de Montfort to the king in 1265, and acted as one of the Governors of England between the death of Henry and the return of Edward from his crusade. He had become one of the most important nobles of England following the rebellion, and he knew it. 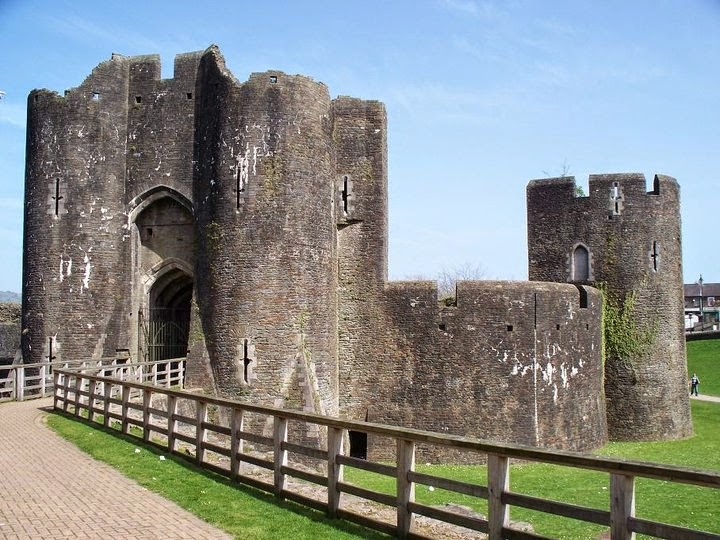 His magnificent fortress at Caerphilly attests to his might as a Marcher Lord, as well as perhaps how strongly he opposed Llywelyn. Conflict with the Marcher Lords was in addition to internecine intrigues. Llywelyn's brother Dafydd had been part of a plot in 1274 with Gruffydd ap Gwenwynwyn, lord of central Powys and newly subject to Llywelyn, to assassinate the new Prince of Wales. When it failed, both Dafydd and Gruffydd fled to London and the protection of Edward. 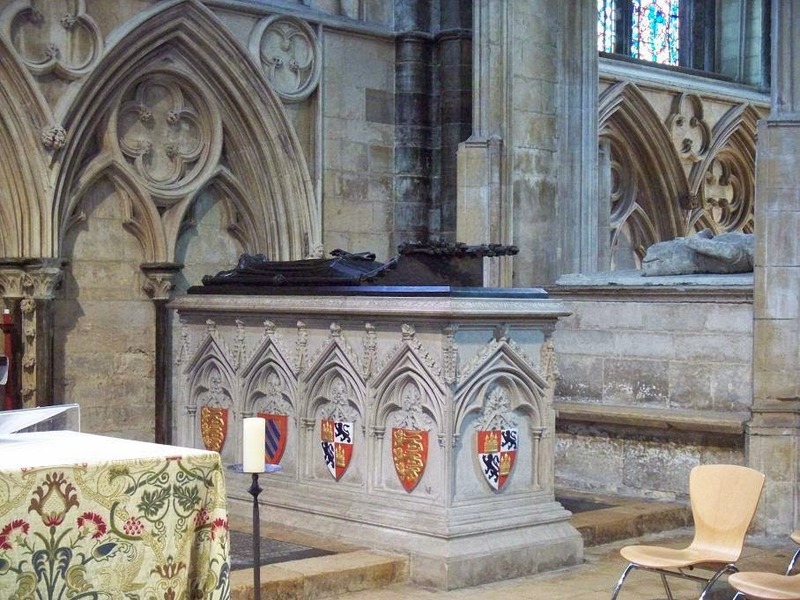 Therefore, when Edward requested Llywelyn's presence in the English capital to pay him homage as his new king, Llywelyn cited Edward's protection of his enemies and refused. Oh dear. 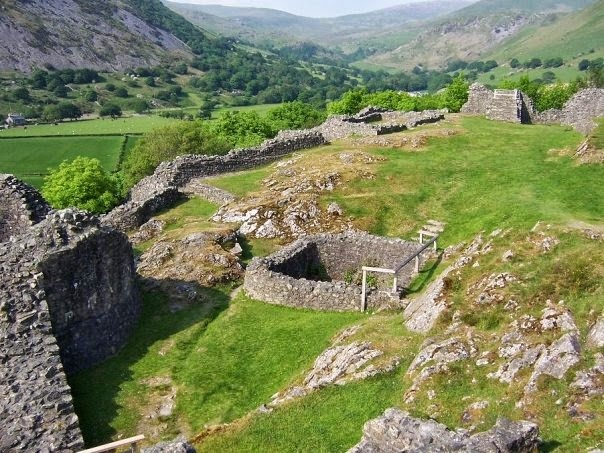 There's yet another strategic blunder to be mentioned, that of the construction of Dolforwyn Castle in 1273. 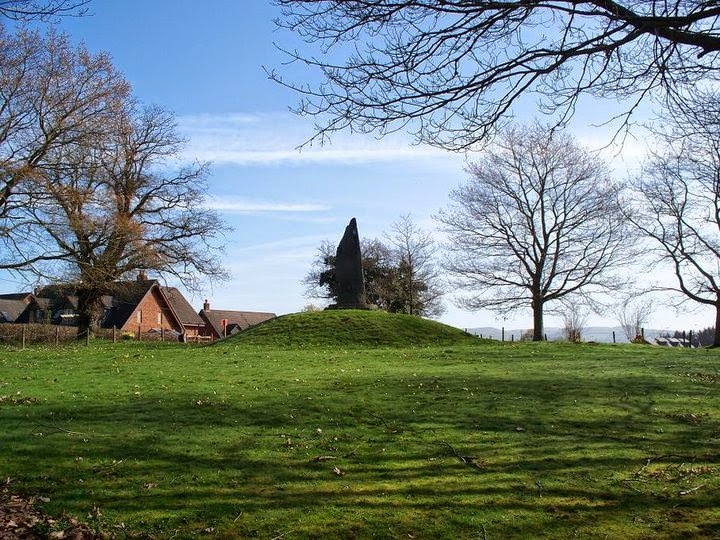 Built following the success of the Treaty of Montgomery, Llywelyn sought to consolidate the approach to his lands along the River Severn, but unwisely chose a site four miles from the royal castle of Montgomery. 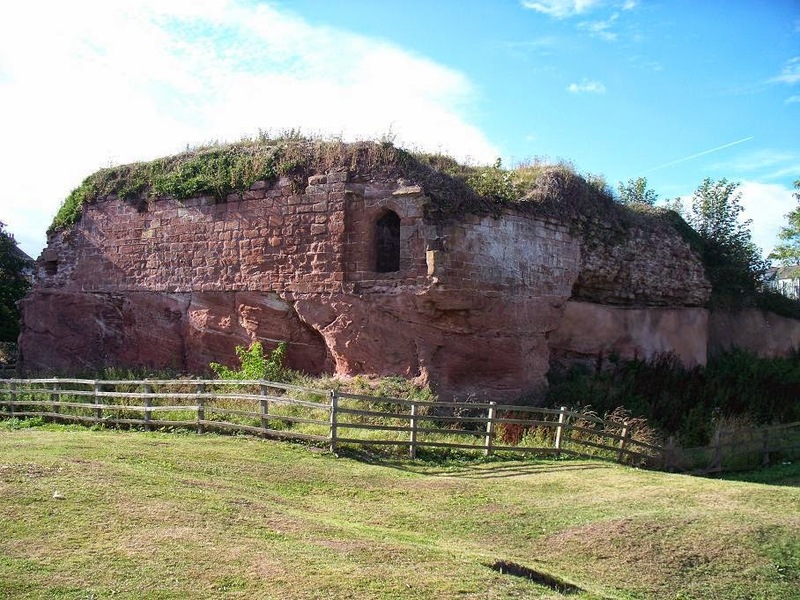 Furthermore, as a vassal of the king, Llywelyn should have sought permission to build a fortified structure, but he did not. Yet another snub to Edward's position as his feudal overlord. One can perhaps easily imagine the towering rage Edward would have been driven into, as he declared war on Llywelyn in 1276. When the English invaded the following July, it was with a force of 15,500 - of which nearly two-thirds were Welshmen. Says a lot for the character of Llywelyn, wouldn't you say? 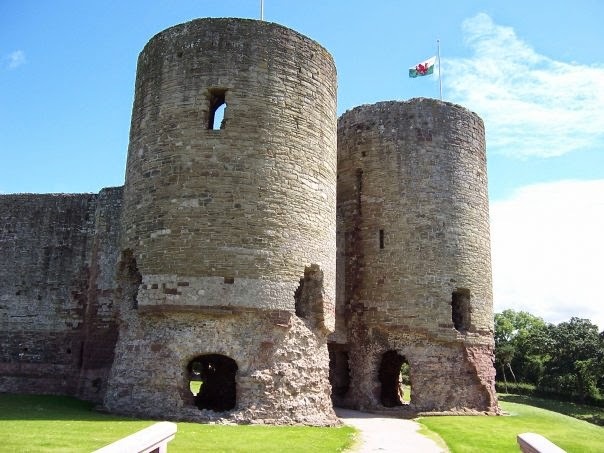 Edward marched across the north Welsh coast from Chester, establishing bases as he went in both Flint and Rhuddlan, where castles were established to stamp his authority on the land. 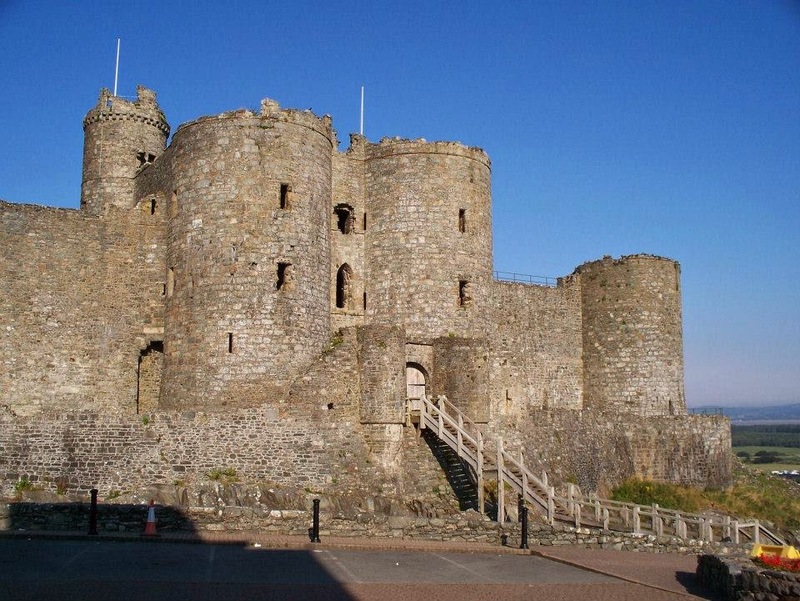 The English met the Welsh at the Rivery Conwy, in the shadow of the former royal castle of Deganwy, late in 1277. 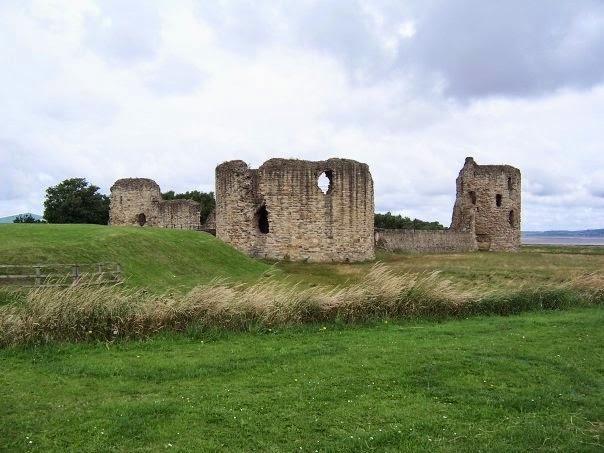 ^ Rhuddlan, one of the great concentric fortresses of Edward's reign. Llywelyn wasn't entirely stupid, however, and realised he needed to make peace with Edward. 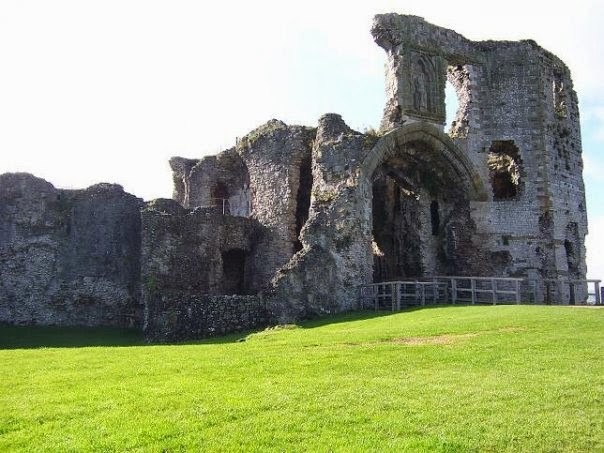 He surrendered at Aberconwy Abbey in the November, and under the treaty signed there ceded all of his lands except the principality of Gwynedd (which stretched far across north Wales to the border with Cheshire at this time), but kept his title of Prince of Wales. In order to keep the Welsh in check, Edward began building two royal castles, at Aberystwyth and Builth - both heavy with the symbolism of royal authority and loudly proclaiming to the Prince "England is watching". The first Welsh campaign shows Edward as a decisive military commander and an exceptionally strong ruler. In contrast, Llywelyn emerges as a fish out of water, and he has always bemused me by thinking he could ever take on the English when his hold on Wales was, at best, quite tenuous. Llywelyn ap Iorwerth had often conducted aggressive foreign policies into England, but he had never neglected to consolidate his own standing in Wales - his grandson would have done better to have learnt from that. I get the sense, therefore, that Llywelyn is justly deserving on the rap on the knuckles that the 1277 campaign turned out to be. Of the two rulers, Edward is by far the one worthy of respect here. 1277 was only the beginning, of course. 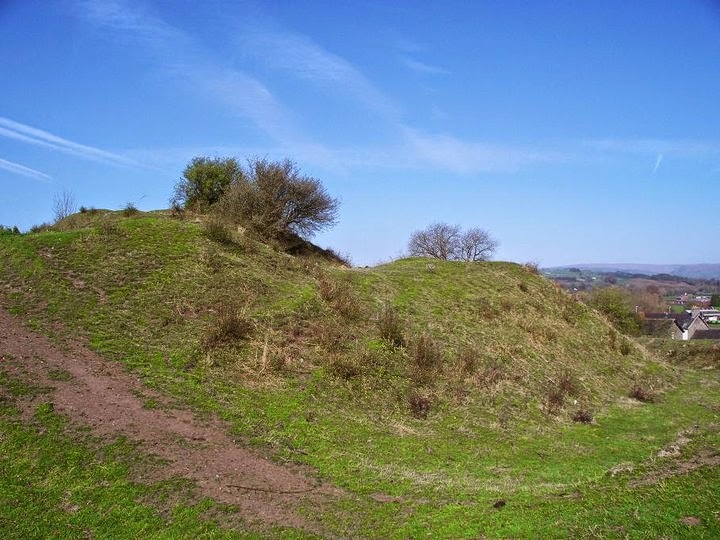 Under the treaty of Aberconwy, Edward had given lands to Llywelyn's brother Dafydd in what is now central Denbighshire, centred largely on the Clwyd Valley. Hardly prime real estate, Dafydd was unhappy, and succeeded in rousing the lords of Powys and Deheubarth against the English, who had appropriated much of central Wales into the March following the treaty. This rebellion of 1282 is usually described as a nationalist uprising, a war for survival and a war for Welsh national identity. To be honest, I find that hard to deny, because it was very much a Welsh vs English conflict, as opposed to the 1277 campaign that had included so many Welshmen on Edward's side. One of the major points of contention was the enlargement of the March to engulf the ancient kingdoms of Powys and Deheubarth, and the subsequent imposition of English law on those lands. Welsh law and tradition differed markedly to English in many areas, perhaps principally inheritance laws. The Welsh chafed at this, and rose up in revolt. While I would still maintain that the 1282 revolt has its roots in essentially a land dispute by the jealous firebrand Dafydd, it nevertheless became a national struggle, as much as one can define Wales as a nation at this point. 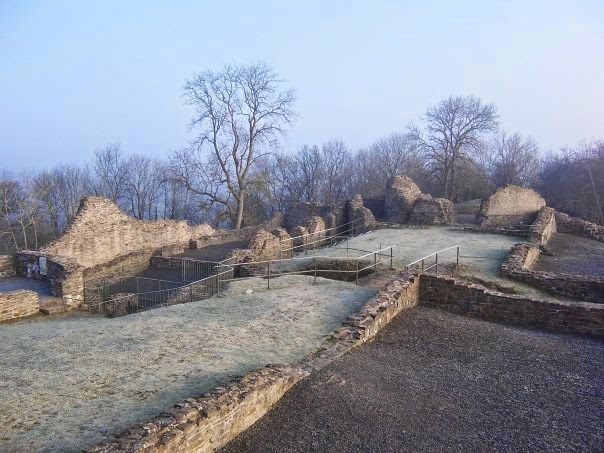 At Easter 1282, Dafydd attacked the English stronghold at Hawarden, sparking the revolt. Edward's response was characteristically heavy-handed. A three-pronged attack was launched between Gilbert de Clare in the south (from Carmarthen); Roger Mortimer from Shrewsbury, and the king himself from Chester. Edward's intention was undeniably to crush the Welsh once and for all. Should I be annoyed by this? I am Welsh, after all. But I'm not - to a large degree, I feel the pugnacious Welsh brought it on themselves by trying to defeat a superior force. I'm more dismayed for the Welsh than I am annoyed by the English. 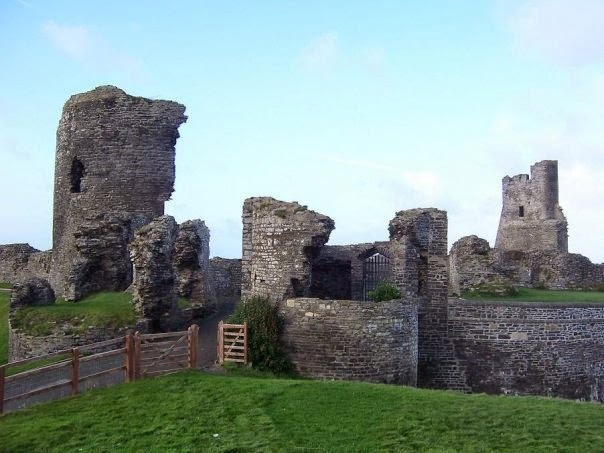 Welsh victories came quite quickly, when Gilbert was defeated at Llandeilo Fawr in June, following the English capture of Carreg Cennen Castle. His command of the southern army was relinquished to William de Valance, the Earl of Pembroke, the half-uncle of Edward, who led a much more successful campaign against the Welsh. Later in the year, Anglesey was captured from the Welsh, including the symbolically important llys at Aberffraw, by Luc de Tany, the Seneschal of Gascony and another staunch ally of Edward. 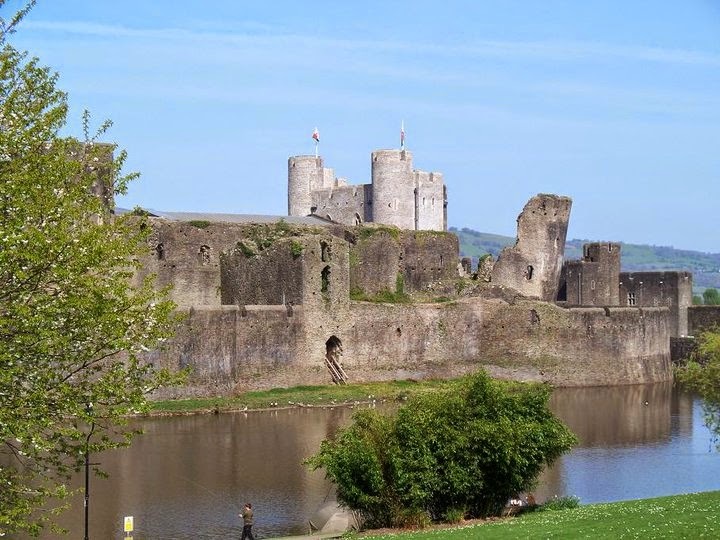 However, Luc's victory was short lived, when he overreached and marched onto the mainland before waiting for Edward's army to cross the Conwy and support them. Llywelyn decimated de Tany in November, setting back Edward's plans for a crushing victory in the north. 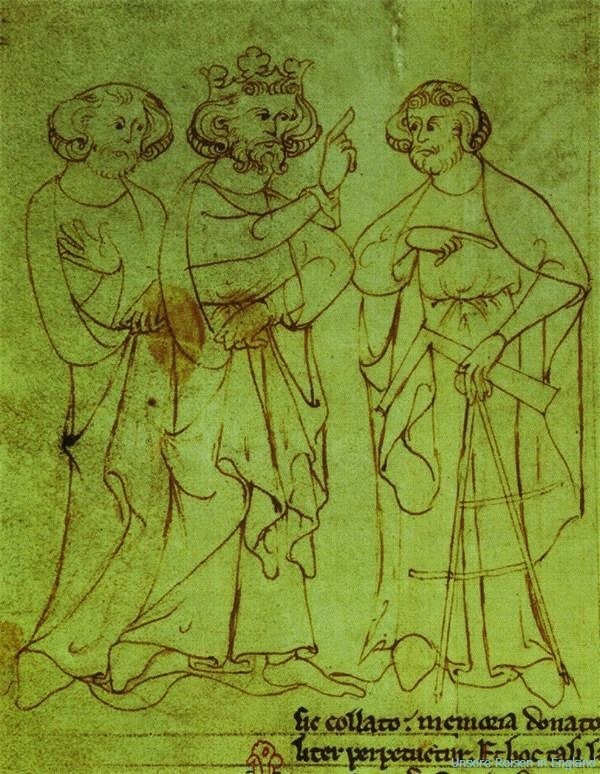 However, Llywelyn was perhaps emboldened by his victory over the English, and marched out of Snowdonia to rally support in mid-Wales, believing the Marcher Lords were wavering in their support of Edward. He could not have been more wrong, as these Lords numbered among some of Edward's strongest allies. Also arrayed in mid-Wales was Llywelyn's old nemesis Gruffydd ap Gwenwynwyn, who threw his support behind the Marcher Lords. 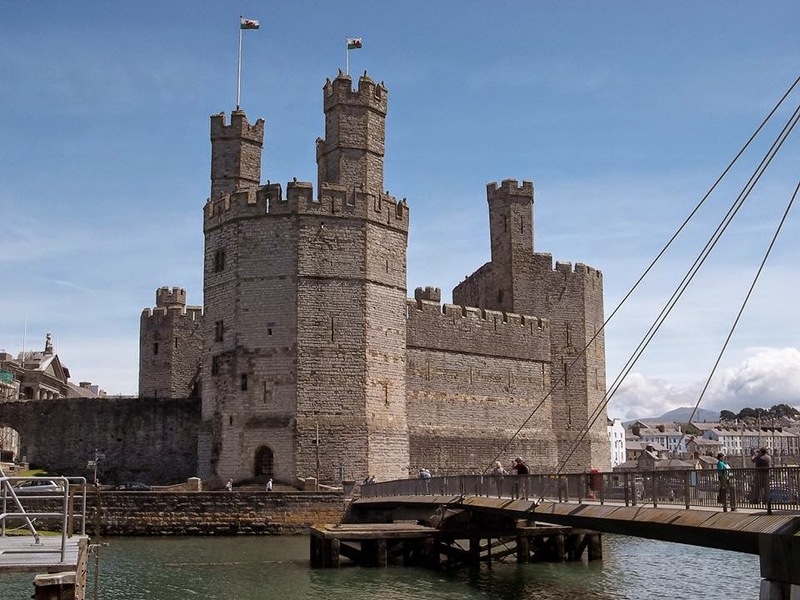 Llywelyn was cut down at Cilmeri, near Builth, on 11 December 1282, and his head cut off and sent to London, where it was mockingly adorned with a crown of ivy ('fulfilling' a Welsh dream that Llywelyn would be crowned in London) before being set on a spike on Tower Bridge. The Welsh thereafter rallied around Dafydd. ^ the memorial to Llywelyn the Last at Cilmeri. 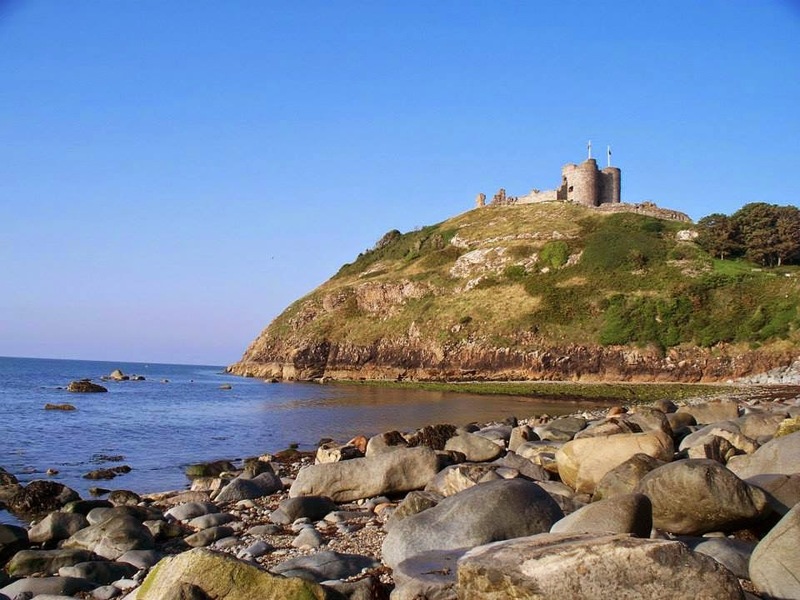 Edward took advantage of the Welsh setback to march into Snowdonia in January 1283, where he swiftly captured Dolwyddelan Castle and Criccieth Castle, followed quickly by de Valance's capture of Castell-y-bere in southern Gwynedd. 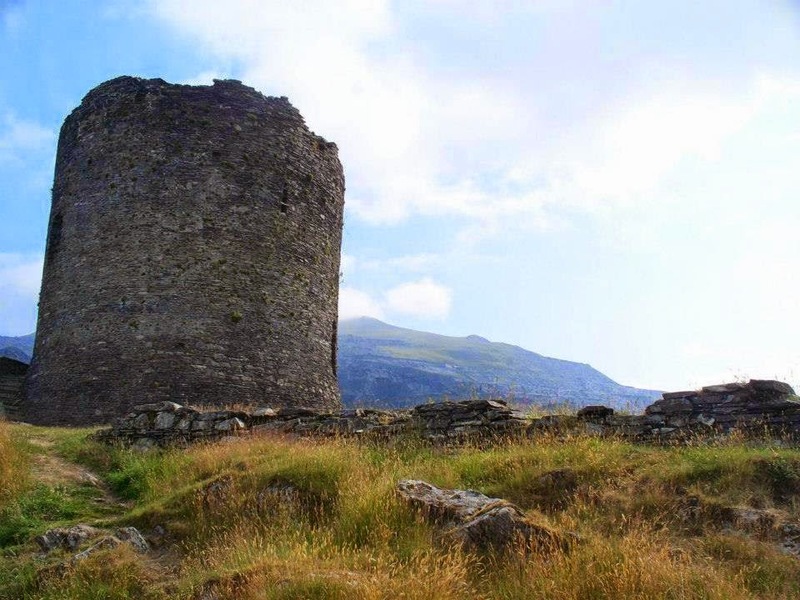 Dafydd managed to hold out until June, when he was finally captured at Dolbadarn Castle and imprisoned at Shrewsbury. Dafydd was tried at Shrewsbury and condemned to death on 30 September, the first recorded person condemned for high treason. The now-infamous capital punishment of hanging, drawing and quartering was devised by Edward as Dafydd's punishment for his role in the rebellion, and was carried out at Shrewsbury on 3 October, whereupon his head was sent to London to join that of his brother. His daughter was sent to a convent in Lincolnshire (along with Llywelyn's only daughter), and his sons were imprisoned at Bristol Castle. 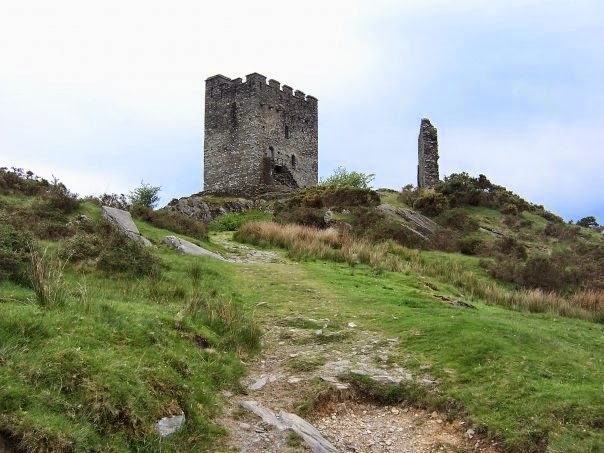 With the death of Dafydd, Edward immediately set upon building a series of fortresses surrounding Snowdonia in an 'iron ring', as well as granting land across north Wales to his favourites for them to build yet more castles there. Edward's four great castles of Conwy, Caernarfon, Harlech and Beaumaris are all fearsome symbols of English royal authority in the land. ^ Conwy Castle, the outer ward. The first to be built and originally planned as the seat of royal authority, perhaps in recognition of the 1277 Treaty of Aberconwy? 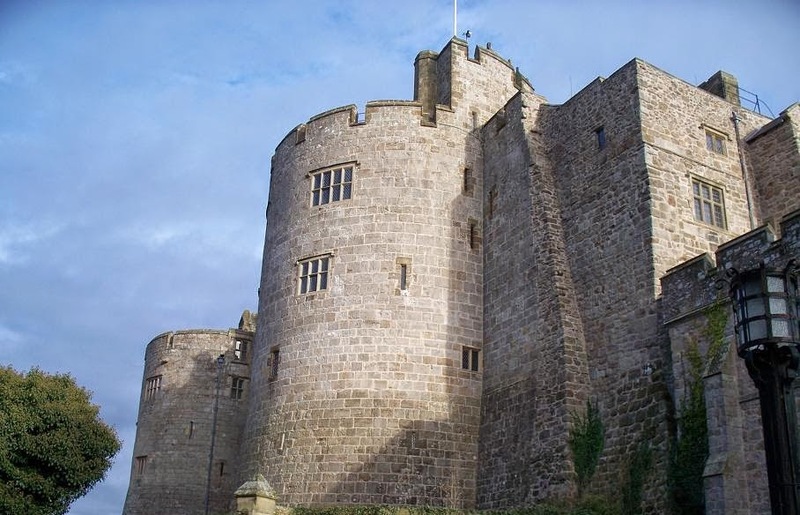 The castles of the noblemen granted lands across north Wales are no less impressive. 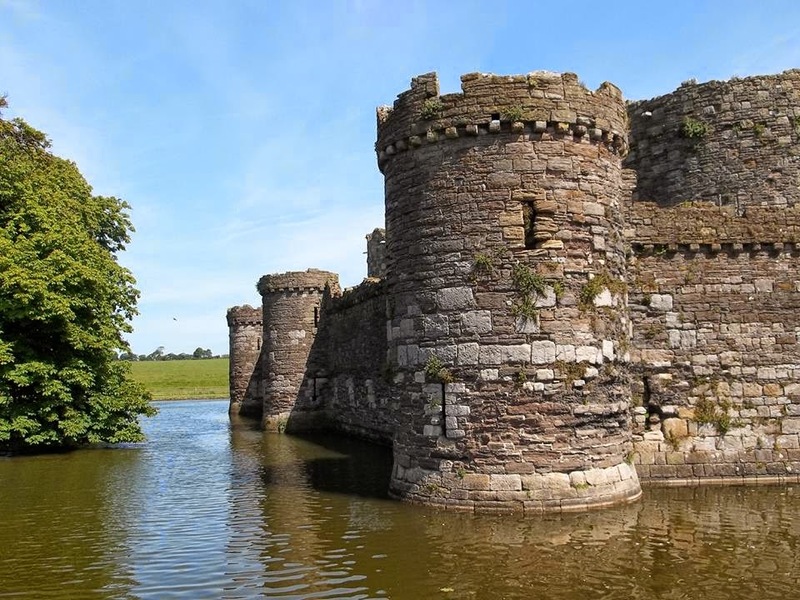 Many of the English castles were planned with boroughs adjacent to them, such as at Conwy and Caernarfon, Denbigh and Ruthin, but under the terms of their charters, no Welsh person was allowed to live or trade within the walls. These laws remained in effect, though perhaps not in execution, until the Tudor period over two hundred years later. 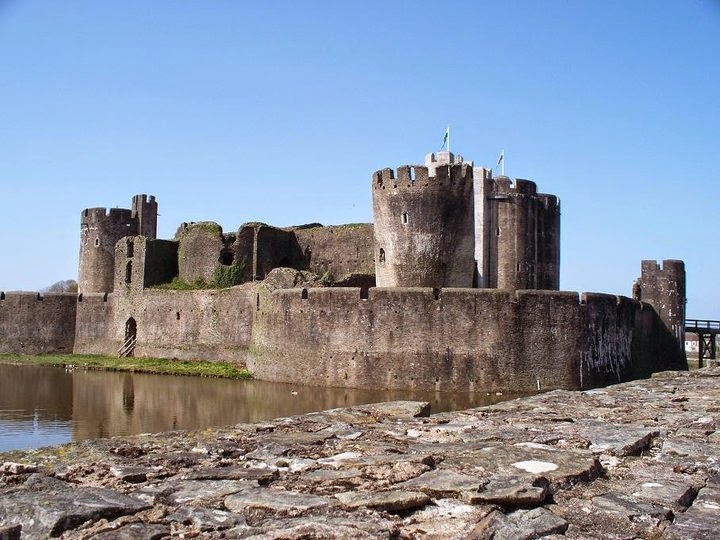 The king's favourite mason, Master James of St George, was commissioned to design most of the castles to be at the cutting edge of military design, employing many continental innovations that were otherwise unheard of in Wales at this time. The result of the conquest was a massive land-shift that is not hyperbolic to compare with the Norman Conquest over two hundred years previous. Welshmen were suddenly dispossessed and at the mercy of English lawmakers, who rarely understood the traditional rights of the land, let alone the language. In this sense, then, Edward's conquest of Wales was very much an apocalyptic event in the history of the nation. The investiture of Edward's son, the future Edward II, as Prince of Wales in 1301, provided a further snub to the Welsh by instituting a progression of 'alien' Princes, although Prince Edward was actually born within the confines of Caernarfon Castle in 1284. And yet, I still like Edward I. No matter how much one might want to characterize him as a barbarian, he was an extremely effective ruler, who would brook no challenge to his regnal power. At this period of history, the country needed a king who could stand up to these challenges, as the anarchy of the Barons Wars had shown. It is, seemingly, the curse of any effective ruler to be thought of as ruthless (Thatcher, anyone?) without looking into the reasons behind those actions, or indeed looking at the long-term results. It is entirely possible that, had Llywelyn managed to rein in his brother, the cataclysmic war of 1282-3 would not have come to pass; it is entirely possible that, had Llywelyn recognised Edward as his feudal lord in 1274, the campaign of 1277 would not have come to pass. Llywelyn the Great knew how far - and when - he could push his expansionist foreign policies, but Llywelyn the Last did not, and as such I have no sympathy for the man, who brought about his own destruction, and that of the principality he had stove to create. Feudalism is an extremely important concept during the high middle ages, and it would take centuries for the ideas to die out. I have tried to emphasize throughout this blog that, under the Treaty of Montgomery, Llywelyn was created a vassal to the king of England, and by all accepted customs and rights of the day, he must pay homage to his feudal overlord or his lands would be forfeit. Llywelyn did not pay homage when it was demanded, and therefore reneged on his part of the Treaty. As such, Edward was entirely within his rights, in a feudal society, to take back the lands of his wayward vassal. Llywelyn disobeyed societal norms for the time. That is not Edward's fault. Edward acted in the manner a thirteenth century king was supposed to react, and Llywelyn just couldn't cope. And thus, I dismount my soapbox! Edward I was an extremely capable king, who ruled effectively when the country so desperately needed a strong king. He also had the right men around him, not least Robert Burnell as Lord Chancellor, who headed-up the legal reforms of the realm. Edward's father had been a relatively weak monarch, and his son was to prove to be even more inane, but it wasn't until Edward III that we'd see another medieval monarch so successful at the top job.